After receiving pressure from students and alumni on social media and in person, Albion College administration is addressing the living standards of its residences and restructuring its living unit damage assessment system. 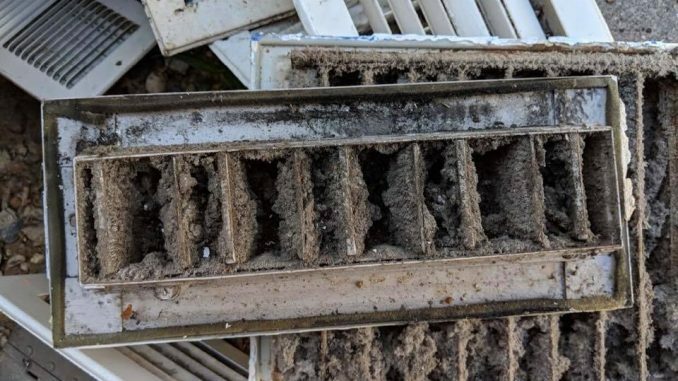 Students reported getting sick or having exacerbated asthmatic and allergic reactions from allegedly harmful mold found in their living unit vents. Others reported unfixed damages to room furnishings and unclean surfaces upon moving into their living units last academic year. Some students also claimed that fines for damages in their living units did not reflect the status of the items damaged. Others claimed they had been charged despite damaging nothing. Soon after, a private student-run Facebook group and a Student Senate petition demanding college administration meet “basic housing needs” were created. Both Student Senate and the Facebook group added a reformed room fine system as a concern. Student Senate President Andrea Sanchez of Waterford, Michigan, said she plans to share the petition, which has garnered almost 750 signatures at the time of publishing, with Albion College’s Board of Trustees at its October campus meeting. Two days later, President Mauri Ditzler and Residential Life sent emails promising immediate action in addressing the two student issues. Summer work on the college’s vents and fine system began. “The impact of collective action really sent a message to the college administration that this issue needs to be remedied right away, and I think that’s something we should take a lesson from,” said Robert Jeorge, Student Senate Vice President from Fremont, Ohio. The Residential Life department was tasked with reassessing living unit room damage fines. As in previous academic years, Residential Life staff went into each room with Facilities Operations and Maintenance staffs at the end of the school year. Together, they determined whether identified damages could have been avoided — like torn paint from a poster taped to a wall with duct tape — or were a result of normal wear and tear — like a bed frame rubbing against a wall. If damaging acts broke Student Handbook policies, students were fined based on the cost of labor, a replacement part and tools necessary to fix damages. If damages came about through normal wear and tear, fines were usually not given, said McMahon. What is considered faulty damage is determined by the various departments’ staffs in accordance to Student Handbook policies. Prices for parts were determined by Facilities Operations’ damage assessment sheet. According to McMahon, this year’s methodology and fine pricing was no different than in years past. McMahon said that some students saw an increase in fines this past academic year because they had never been fined for paint damage during the two years prior. The college was repainting rooms during those two years, and McMahon thought it would be unfair to fine a student over paint damages when their room would be repainted regardless. Residential Life, Facilities Operations and Maintenance individually evaluated living unit status paperwork during their allotted two-week deadline. Despite fine structures being the same as years past, staff decided to drop many students’ fine prices. Most price lowering came from dropped labor charges. On June 25, approximately two weeks after reassessment, updated fine costs were sent to the appropriate students. McMahon said the next step is to determine what to do ahead of the academic year’s end, when residences are checked for damages and students are fined accordingly. She hopes to work with Student Senate and Facilities Operations to review the damage assessment sheet’s part pricing. Students now have 30 days after move-in to review their room condition inventory for any discrepancies between the graded condition of the living unit and what they see in their room. With the help of fraternity leaders and college administrators, Facilities Operations determined air duct testing in two fraternities was the best first step in addressing mold concerns. The department tested air quality before and after the two ducts’ cleanings. Dirt and dust was found, but there was no difference in air quality between the two testings. “Did we get a lot of stuff out of the ducts? Yes, but they were not impeding any air flow,” said Tom Zeller, project manager of Facilities Operations. It was the Tau Kappa Epsilon and Sigma Chi houses’ first full duct cleaning since their 1968 construction. The testing revealed other problems that Zeller said he and his team were unaware of. First, Facilities Operations found that the supply ducts in each fraternity living unit were clean — the filtered air that students breathe comes through supply ducts out of a handling unit. It was the return ducts — which send air out to the air handling unit for filtration — that were the dirtiest. The filtration system was in good condition, said Zeller. The exhaust fans in each fraternity bathroom were found to have technical errors. If a student were to hold a piece of toilet paper in front of the fans the paper would hardly move, said Zeller. Exhaust fans draw air directly out of the fraternity houses, not through a filtration system. Facilities Operations are currently making exhaust fan repairs. Facilities Operations also found large items in the duct systems after removing vents. Zeller took pictures of a rotisserie chicken and multiple pizza boxes wedged in the system, likely by students. Zeller said the findings are not meant to take away from the issues Facilities Operations and the fraternity’s duct systems have. It helped them rework their vent cleaning process. Zeller and Vice President of Finance and Administration Deanna McCormick are now working together and with student leaders to create a timeline for future residence upgrades. Zeller said many projects cannot be completed when students are in their rooms. As the college works on upgrading residences, McCormick said students can help. “Students, first of all, need some education, I think, and we need to figure out a way to help them help themselves,” she said. If mold, damage or improperly functioning living unit furnishings arise, Zeller recommends writing down the problem in the daily log found in each college residence. Facilities Operations staff check the log for each residence daily. If mold is a concern, Facilities Operations staff will alert cleaning staff, who will then eliminate the mold with proper cleaning supplies. Other options are to fill out an online work order or, if there’s an emergency, to call the Facilities Operations or Campus Safety offices. Despite strong student protests over mold, only nine of 15,000 work order submissions made by students, faculty and staff last academic year involved mold, said Zeller and McCormick.